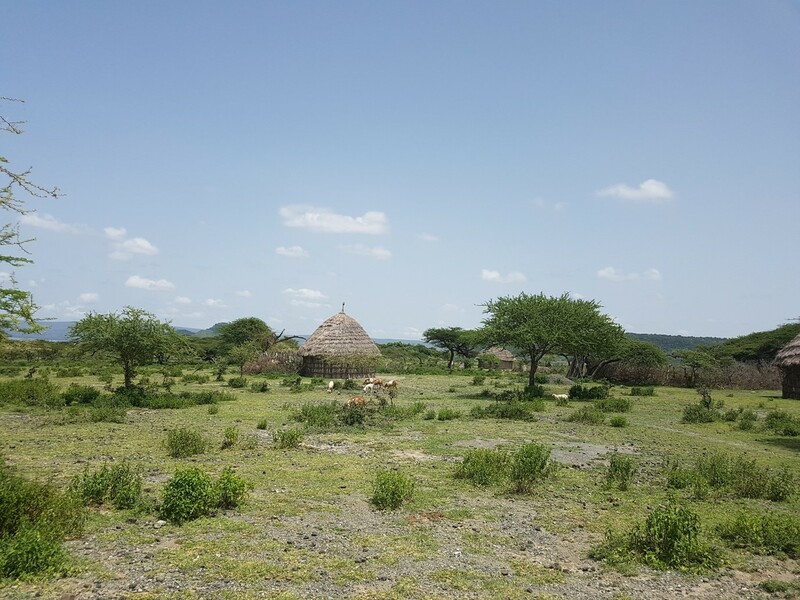 A few weeks ago, I visited Shalalake, a small kebele (village) in the Arsi District of Ethiopia. It was around a three-hour drive from the nearest large town and a 5km walk to the nearest health post. The kebele had no clean running water, with people relying on water purification tablets. They were also short of one of their health extension workers (there are usually two for every health post), and community health outreach services had stopped in recent months as the kebele was too far away for services to be routinely carried out. In these circumstances vaccination is not routine. It was a walk of over an hour to reach a health post, on a particular day, with the hope that the vaccine was available. It relies on the transport and health staff to get the vaccines to where they need to be (and kept at below 5%C) from the broader health centers to the health post on a specific day. It also requires an adequate number of children being present to allow a vaccine vial to be opened to reduce wastage, and for parents to know on what days and at what age children were scheduled to be vaccinated. For children living in Shalalake, immunization is an essential service to stave off some preventable diseases such as life-threatening typhoid and diarrhea, which can be caused by, spread by, or made worse by a lack of clean water. This week, the WHO and UNICEF released their annual official immunization coverage estimates. In Ethiopia, coverage of DTP3 (three doses of diphtheria, tetanus, and pertussis) remained the same for the third year in a row – 73%. This means that still over a quarter of children in Ethiopia, around 850,000 children, did not receive the vaccines they need. Only 65% of children were immunized against measles. Globally, immunization coverage rates have remained at 85% for the third year running, and only a slight change from 84% in 2013. With no significant differences in over five years (after a substantial increase from 72% in 2000), and 1 in 10 children still unable to access any vaccines, have we become complacent? Have we lost the sense of urgency we need to ensure all children are immunized with the 11 WHO recommended vaccines? Immunisation reaches more children than any other health intervention, and this should rightly be celebrated – millions of lives are saved every year because of improved access to new and underused vaccines. But with this comes the risk that we focus on how far we have come and did not pay enough attention to the inequities and challenges which remain. To move towards universal immunized coverage, we need to find ways to annually reach 20 million more children with DTP3, 45 million more children with a second dose of the measles vaccine, and 76 million children with the three vaccines which help to prevent pneumonia. To achieve this, I think we need to change the way we talk about immunization. An immunisation system is made up of a number of components which can both prevent diseases, as well as track disease instances and respond to outbreaks – while at the same time being a critical point of contact for a number of other primary health care interventions such as antenatal care, regular checks for malnutrition, and education around how to prevent malaria. In many ways, it is beyond just a ‘routine’ service and has many more extensive benefits. The Khyber Pakhtunkhwa health department in Pakistan has recently recognized this too, rebranding their routine immunization services as essential. For me, and most importantly, it is the right to access vaccination no matter who you are and where you live. It is an essential, often life-saving, health intervention that for the world’s poorest people, is something they cannot, and should not, live without. For the families in Shalalake, it is the essential and perhaps only protection against unnecessary illness. For example, the rotavirus vaccine can help prevent against some of the most dangerous forms of diarrhea, spread through a lack of clean water and sanitation. For me, we need to reframe how we talk about immunization. We cannot let complacency set in for a service we deem to be ‘routine.’ The power of vaccines to save lives, to prevent illness, to bring positive economic impact to a community, and to be a platform to drive equitable access to all health services for all makes immunization services essential to every single person. From now on, I’ll be advocating for healthy, sustainably financed essential immunization services – only through this can we achieve universal immunization for all. Laura Kerr is the Senior Policy Advocacy Officer for Child Health and a member of the Gavi CSO Constituency Steering Committee. Laura is passionate about ensuring children don’t die before their fifth birthday and advocates for equitable access to immunization. This article was also published in the blog RESULTS. You can read it here.